He has a particular set of skills. Hiding is not one of them. It's not hard to imagine a better version of Taken 3, but my preference would have come naturally out of the otherwise unnatural prominence of a giant stuffed panda that Bryan Mills buys for his daughter's 21st birthday. Suffering a complete psychological break after murdering so many Europeans in the first two films, he projects his guilt onto it as he goes on a paranoid rampage and eventually commits suicide by cop. Alas, the underwhelming conclusion to a most unexpected trilogy is nothing so interesting. With his long-suffering daughter Kim settling into a seemingly carefree existence at college and ex-wife Lenore building bridges, Bryan's fairly content when we catch up with him again. But when he's framed for a murder he didn't commit, it's time to start punching, torturing and killing scar-faced European baddies until he gets to the bottom of things, and this time, he never even has to leave American soil. In retrospect, the first Taken is an utterly mediocre macho fantasy for American fathers, elevated beyond the direct-to-video market by a star turn that reminded us how Liam Neeson was once Rob Roy and Darkman. 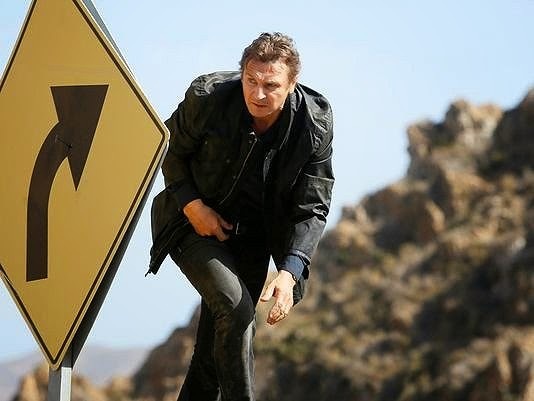 With Taken 2 driving off a potentially interesting premise at the first exit, in favour of a hastily edited 12A rehash, there was little hope for the third instalment. 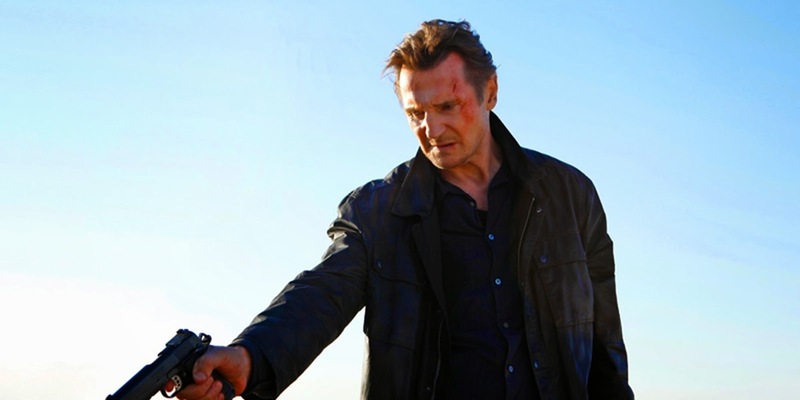 But Taken has not only reinvigorated Neeson's action stardom- in just six years, it's brought him to the brink of having more bad than good on his IMDb page, with this series only accounting for three of the Death Wish knock-offs for which he has now become best known. Having come across as thoroughly embarrassed whenever he's been out and about promoting the films, only a $20 million salary could coax Neeson back for another runaround with the first sequel's director Olivier Megaton, but he's well and truly embarrassed here. Megaton's choppy editing makes any action scene about as valuable as something from a cartoon- for as much sense as they make, the fights might as well be a ball of dust with fists and feet popping out during the scrap. But even such an obscured and incoherent view can't hide the depressing spectacle of a middle-aged man in a foot-chase, doddering around and yet still out-pacing adversaries half his age. The 12A rating doesn't help either- the second film fudged the violence with endless neck-snaps, but it doesn't take much more than a bonk on the head to subdue the latest round of non-descript foreign thugs, who incidentally have no connection whatsoever to the grudge match that escalated throughout the series so far. Instead, it's about Bryan braining a bunch of cops who rightly think that he's dangerous and needs to be taken into custody. Meanwhile, Forest Whitaker approximates a live-action version of his character from American Dad, as a lead detective whose one and only character trait involves playing with props like a chess piece and a rubber band. In fact, on the surface, there's little here to distinguish this from any of the other movies that Neeson has done since the first Taken, except for yet more thankless support work from Maggie Grace and Famke Janssen. But going back to that first film, the theme was about Bryan as a single dad proving his worth to a wife who had found a new husband, and a daughter who was embarrassed by his over-protective nature, handily pitched as an America vs. the rest of the world "hoo-rah" diatribe. But the third instalment stays on home turf and the goons (they're arbitrary Russians, this time) only give so much of an outlet for all that broiling xenophobia, which has nowhere to turn but inwards. With no international quarrels to speak of, it shows up the whole trilogy as the violent and idiotic wish fulfilment it really is. That's never more apparent than when the Big Bad of the film is revealed, in a truly risible and unimaginative retcon (and recasting) that transforms a minor character we've previously seen into an obvious, boil-in-the-bag arch-villain. Taken 3 is a rancid, last-gasp attempt to shift gears and cover ground that has been endlessly trodden over by other empty revenge movies. It's enough to make you wish for the psycho panda version. On top of that, it's obviously neutered by the 12A certificate and the exciting name of Olivier Megaton remains the biggest misnomer in Hollywood. His over-compensation even spreads to the name of the film- nothing is actually taken here, unless you count "the piss". Taken 3 is now showing in cinemas and IMAX screens nationwide. If you've seen Taken 3, why not share your comments below? I'm scared to write anything here, because I kind of suggested this film in this same place when I reviewed part two. Yelp.